The 1985 tour of Europe, a plea: what happened to our comrades? There won’t be much of an explanation of exactly what happened to Thee Faction in Europe in 1985, but coded messages have been sent: suffice it to say it all got a bit unpleasant, as insurrection does. We at Thee Faction are unscathed and have reformed; but, all joking aside we wonder what happened to our hopeful, intelligent and sometimes violent comrades on that tour. Do you know? which could sometimes last for 30 seconds, on other evenings for 20 minutes (and like a leitmotif or movie soundtrack they would occasionally return to the chorus in the middle of other numbers). 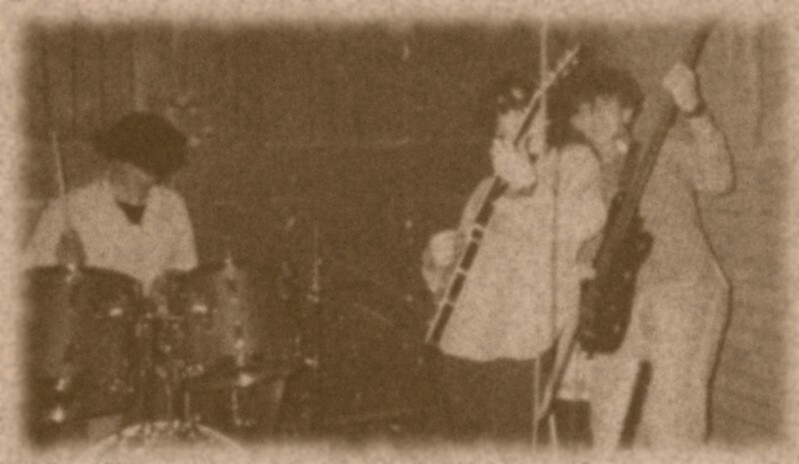 A mutual friend stayed in touch with Dak, Adam & JoAnne (they were thrown in jail in Vykana while busking with the sax player and the tapes on a small TV), we’d love to see them again to perform the Communist song and dance routine that Dai recently found glued inside one of our amps from the period. 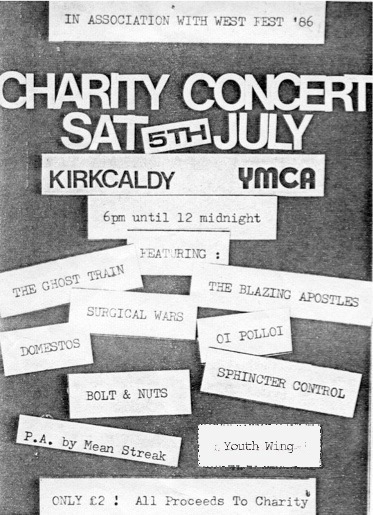 A truly brilliant band. They once semi-kidnapped a policeman who later joined the band: they stayed in the US and became a C&W band called Running The Business. Last seen in 1989 backing the legendary Frank Sheen & the Trough of Despair. Visceral Heft were five six-footers who had all been in the British army, and (so they claimed) were all called Steve. Steve X never went anywhere without a copy of Antonio Gramsci: Selections from Political Writings, 1910-1920 with Additional Texts by Bordiga and Tasca in the left-hand pocket of his combats. Steve P was a woman from Aberdeen: she’d also been in the navy where, in best naval traditions, she had a tattoo from every port. In Singapore she’d asked for a thistle on her shoulder and the legend “Flower of Scotland” written around it. Struggling to describe a thistle to the artist she’d settled on the term “spiky flower” as this garnered a look of enthusiastic recognition from the taottoist. Peeling back the plaster in the morning to see the resulting work in the mirror she was horrified to see the legend “Flower Of Scotland” written around a … pineapple. This also served therefore, as her nickname. She didn’t like it. Steve Surreal’s guitar-playing is some of the best I’ve ever seen or heard. He combined Wilko’s chopping-style with the effects-heavy sound of Flanger and Phaser which was popular at the time, and always used a 50p as a pick. His wife was called Rosemary as I recall. They crossed hair-metal with Black And Blue-era Rolling Stones. The Heft were proper communist revolutionaries and a massive influence on us, both politically and musically. 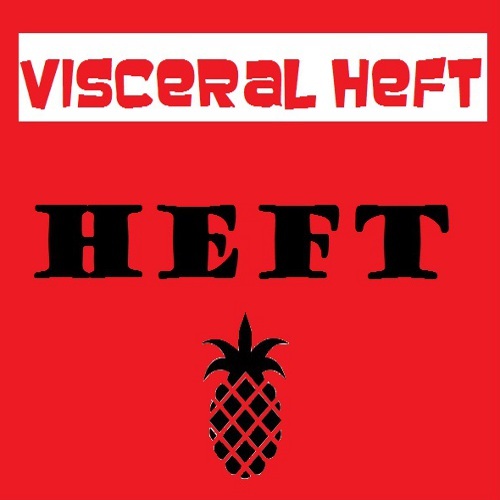 Visceral Heft released an album in 1985 called Heft which these days goes for £6000-£7000 on eBay. I hope they’re all well. To quote Leon Trotsky: “If we had had more time for discussion we should probably have made a great many more mistakes”.